With over 25 years of career experience in the beauty realm, Mandy uses her natural artistry and creativity to provide all of her clients with a unique and individualistic experience by personally customizing each eyebrow shaping, facial and makeup consultation. She began her education pursuing accreditations overseas at one of London’s premier aesthetics schools, Joan Price Face Place. Here she obtained the prestigious distinction of earning her CIDESCO license, an international beauty therapy association representing the highest standards of aesthetics in more than 30 countries. Following graduation, Mandy ventured back to the U.S. where she practiced at Halina European Day Spa under the tutelage of Halina Pradzynkski. While continuing to immerse herself in European aesthetic techniques, she soon realized part of her heart still longed to be in Europe and traveled back to work in the renowned Belgravia area for 3½ years. After moving back permanently to her home in Austin and becoming a certified Dr. Hauschka aesthetician, Mandy worked at several high profile salons before establishing her own personal French Oasis that is known today as Yellow Pear. 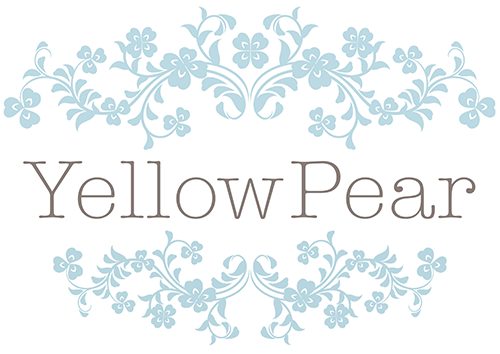 Now calling Burnet Road home, Yellow Pear has partnered to join locations with longtime friend and colleague Bridget Zufelt of Ritual Salon. Please visit the contact page to make an appointment.